Here is a plot of accumulations of 10" or more. As much as 17" accumulated in the northwest corner of Iowa. 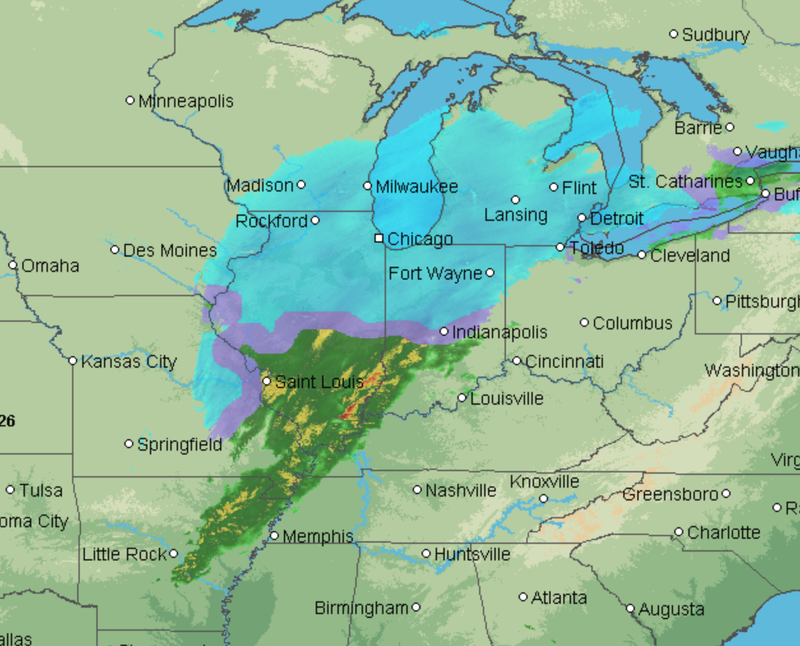 Here is the AccuWeather Regional Radar that shows in blue shades where it is snowing now. 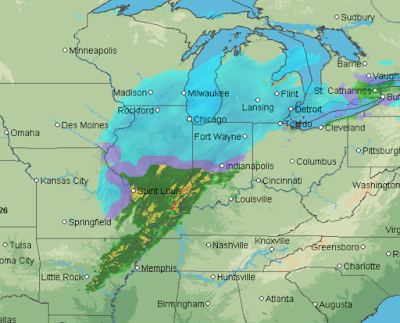 Darker blues = heavier falling snows. Average delays at O'Hare currently are 60 minutes.